Click the links above to go to DognOwner.com - Our Mission is to make a dog's life a great life! We want the best for them just like the horses! Dogs natural instinct, like our own, is to be a predator. A horse is a prey animal and therefore it is important that both animals are conditioned to accept and be safe around each other. 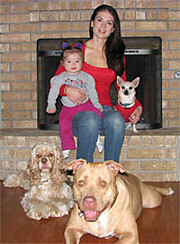 Having animals in our life is a big responsibility but the pay off is tremendous! 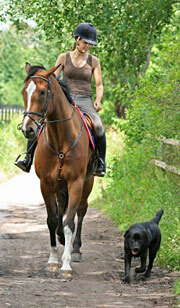 Enjoy your horses... and your dogs!